These small birds have plump bodies and short wings. They weigh 4 to 16 ounces (125 to 465 grams) and measure 7 to 15 inches (17 to 37 centimeters). Males are slightly larger and, in some species, have slightly more dramatic plumage (feather) coloring. Many species have red rings around the eyes, and some have crests on their heads ranging from tiny tufts of hair to long feathers. Quail bills have serrated (sharply notched) edges. Legs are strong to help in running, digging, and scratching. New World quails are native to North, Central, and South America, though they have been introduced elsewhere. New World quails occupy a vast array of habitats. Bobwhites live in ranges from grassland to woodland edge while other species prefer the desert. Others are found in mountain, tropical, and subtropical forests. Quail often make their homes on agricultural land. New World quails scratch for seeds from grasses, trees, and shrubs. Those who live on agricultural land eat leftover grain seeds as well as corn, wheat, peanuts, and black bean crops. Those birds in tropical forests dig for plant roots, and some species feed on bulbs. 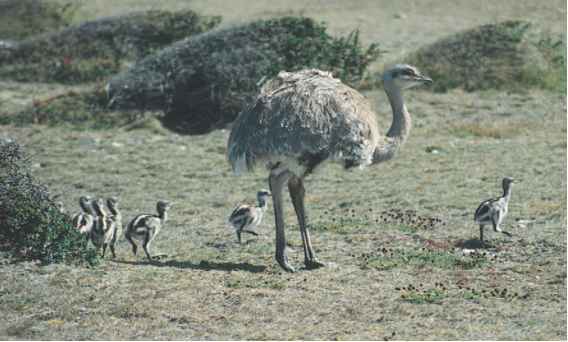 Chicks eat mostly invertebrates (animals without backbones).